Spring is at the door. “Let’s go to the sugar shack!” Sounds good, but which one? There are plenty in Portneuf, especially in the Pont-Rouge area. To help you make a sweet selection, we’ve decided to tell you about some of our favourite sugar bushes. Happy sugaring! Érablière Mart-L has been welcoming guests big and small in the grand sugar shack tradition for over 40 years. Take the time enjoy a traditional meal and get ready for some old‑fashioned fun. 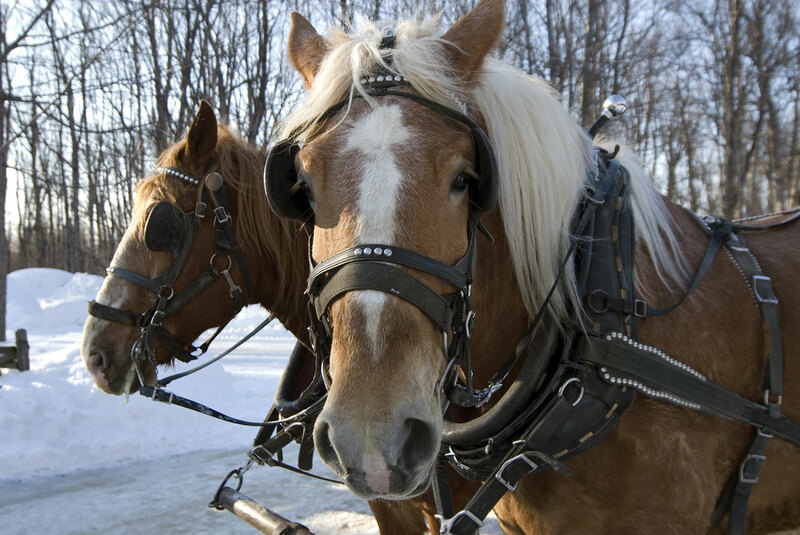 There’s a small maple exhibition, a guided tour of the sugar bush, horse‑drawn sleighs, outdoor games, slides, entertainment, dancing, and more! The warm and welcoming vibe of a superb sugar shack nestled in the forest: welcome to Érablière le Chemin du Roy. This spot is on everyone’s hit list for the sugaring season, for tasty treats and fun times with friends and family. All of our best traditions, gathered together in a fabulous rustic setting that feels like home! La Cabane à sucre Chabot is one of the most popular sugar shacks in the region. Travel there by car, snowmobile, or even on horseback and savour all the local flavours: the traditional meal, snow taffy, outdoor activities, warm welcome, and everything you need to have fun as a family! We love: the outdoor activities and equipment, just perfect for kids! 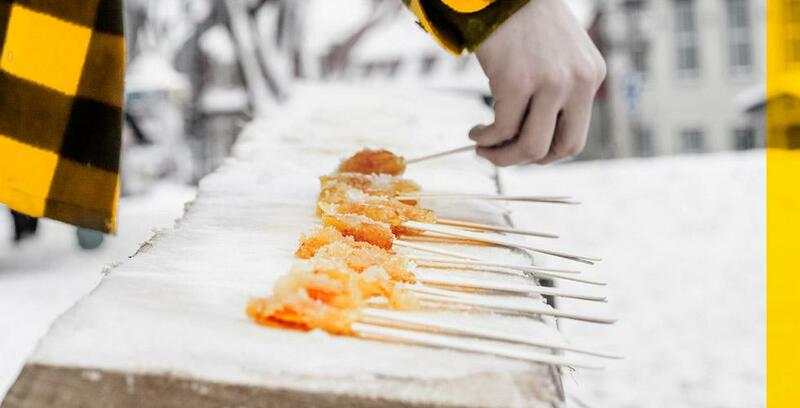 Step into the festive countryside dream that is Cabane à sucre Leclerc for a sugary hoedown to rival the finest, with traditional meals, plenty of menu options, maple taffy, a horse‑drawn sleigh, a guided tour, dancing, games, and entertainment for the family. This is the sugar shack of your childhood! Feeling inspired by our favourite sugar shacks? Call to book your visit today! They’re ready and waiting for you and your family with maple syrup and taffy on tap. Enjoy the outing and happy sugaring!